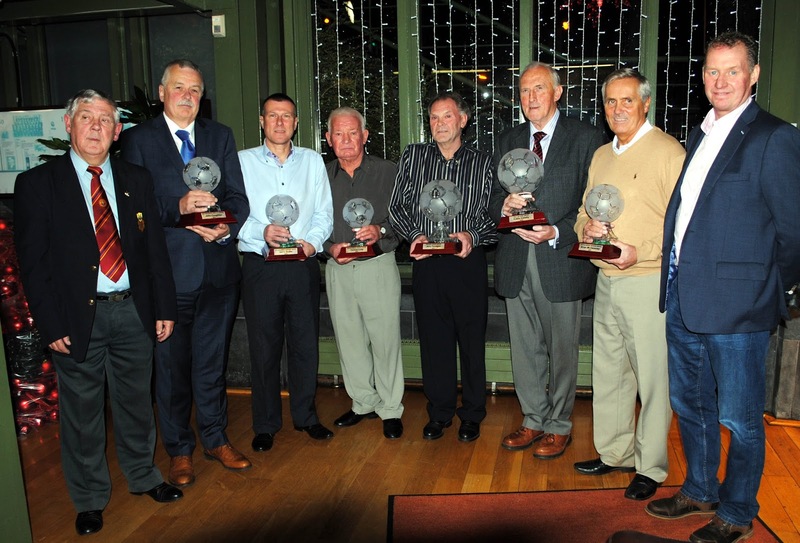 All the recipients that received the Soccer Awards at the AUL Cork Soccer Awards night held at the Kiln Room in Murphy’s Brewery on Friday night. 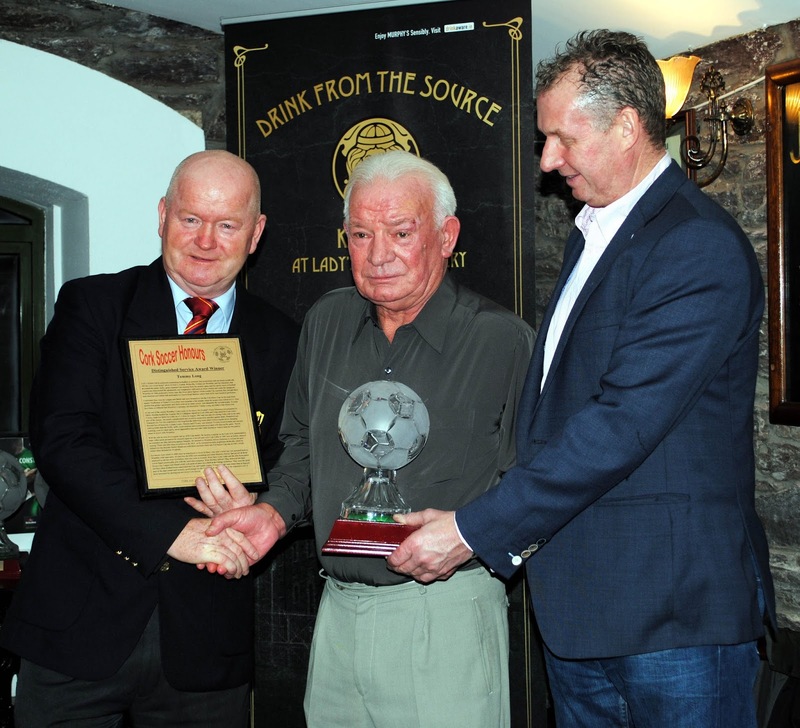 Gerry Finnegan receives his Hall of Fame Award from Ted O’Mahony (Chairman of the Cork AUL) at the AUL Cork Soccer Honours Awards night held at Murphy’s Brewery on Friday night. 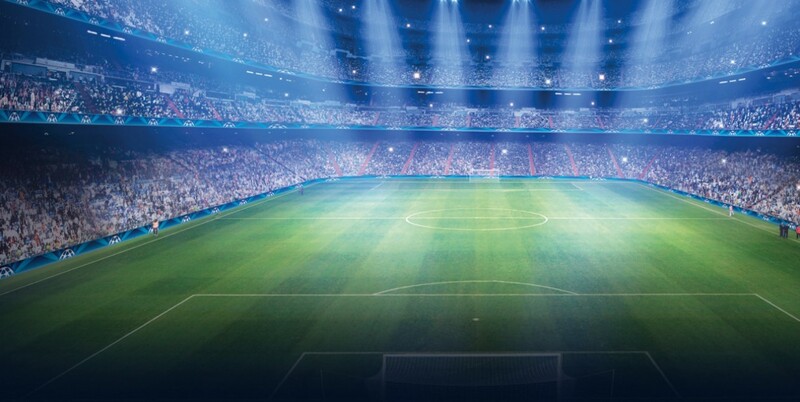 Also in picture is Jim Cashman (Heiniken Ireland). 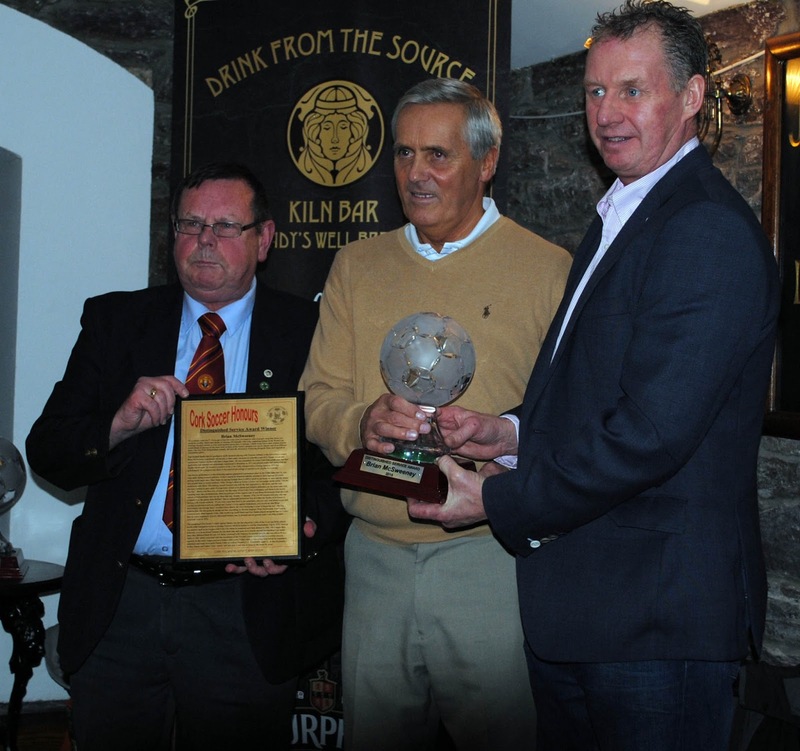 Eddie Kehelly receives his Soccer Legend Award from Martin Conlon (Hon. 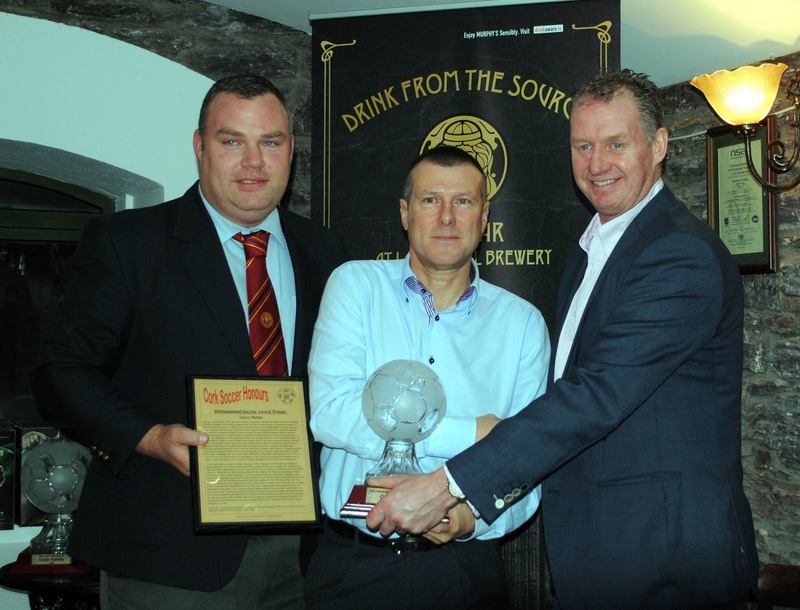 Secretary, Cork AUL) at the AUL Cork Soccer Awards night held at Murphy’s Brewery on Friday night. Also in picture is Jim Cashman (Heiniken Ireland). Brian McSweeney receives his Distinguished Service Award from Tom Fitzgerald (Treasurer Cork AUL) at the AUL Cork Soccer Awards night held at Murphy’s Brewery on Friday night. Also in picture is Jim Cashman (Heiniken Ireland). 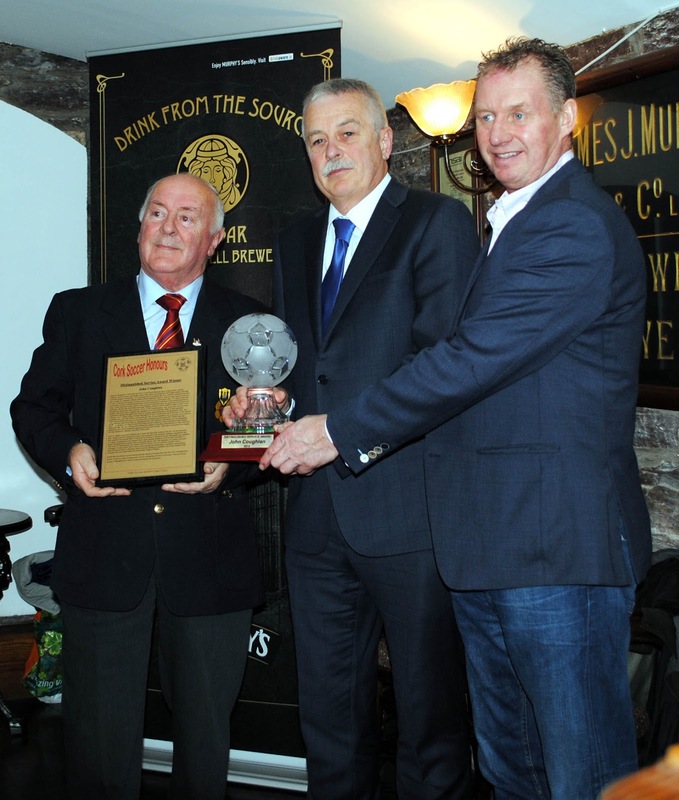 Gerry Butler receives his Distinguished Service Award from Kevin O’Mahony (Registrar Cork AUL) at the AUL Cork Soccer Awards night held at Murphy’s Brewery on Friday night. Also in picture is Jim Cashman (Heiniken Ireland). 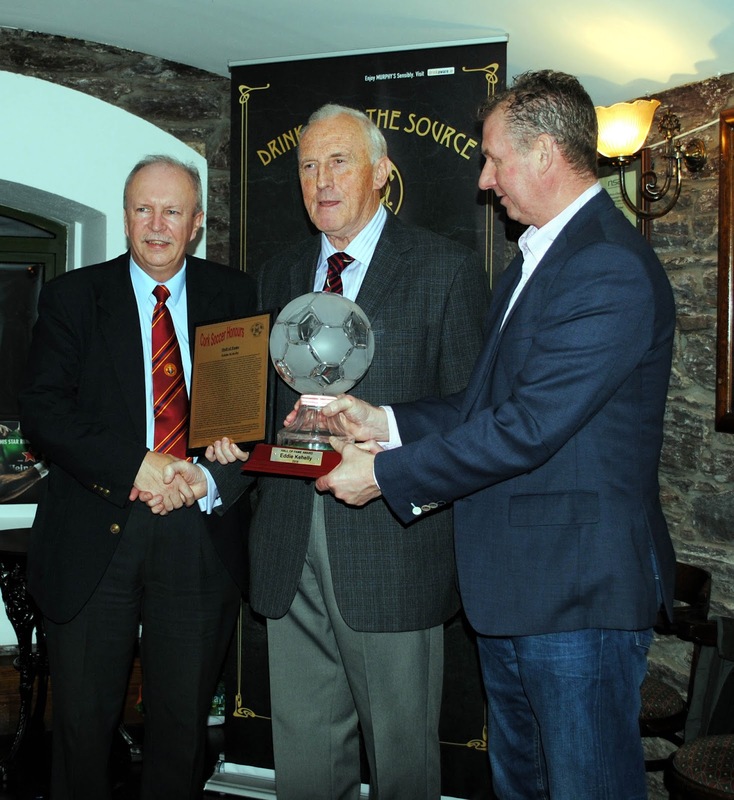 John Coughlan receives his Distinguished Service Award from Denis O’Driscoll (Vice-Chariman Cork AUL) at the AUL Cork Soccer Awards night held at Murphy’s Brewery on Friday night. Also in picture is Jim Cashman (Heiniken Ireland). 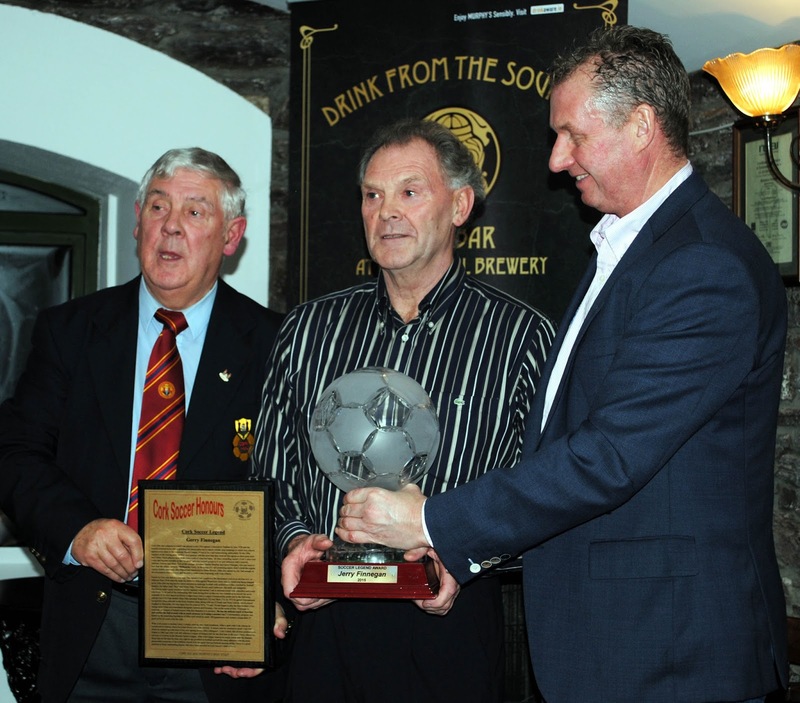 Tommy Long receives his Distinguished Service Award from Denis Crowley (Cork AUL) at the AUL Cork Soccer Awards night held at Murphy’s Brewery on Friday night. Also in picture is Jim Cashman (Heiniken Ireland).